Mrs. Shealla I. McPherson, age 82, of 6520 Tareyton Road, Fayetteville, NC departed this life on Wednesday, February 6, 2019. She was a retired Sales Associate with Sears Department Store. Funeral service will be held on Wednesday, February 13th at 1:00 p.m. at Wiseman Mortuary Chapel. Burial: Cumberland Memorial Gardens. 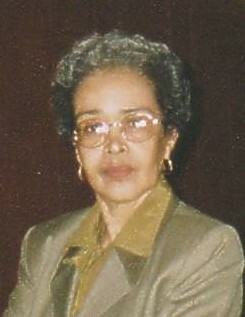 She leaves to cherish her loving memories: husband: Walter McPherson, Sr.; sons, Walter McPherson, Jr. (Alice) and Lawerence G. McPherson (Angela); daughters, Shelly I. McPherson.and Wanda S. Smith; brother, John Robert Wells (Vernell), Kenneth Wells, Harvey Wells and Donald Wells; sisters, Penny Burgess ( James), Lucinda Whye (William), Deborah Wright (Allen) and Eunice Adkins; four grandchildren; one great grandchild and a host of other relatives and friends. There will be a viewing Tuesday, February 12th from 2:00 to 7:00 p.m. and family will receive friends from 6:00 to 7:00 p.m. at the funeral home.